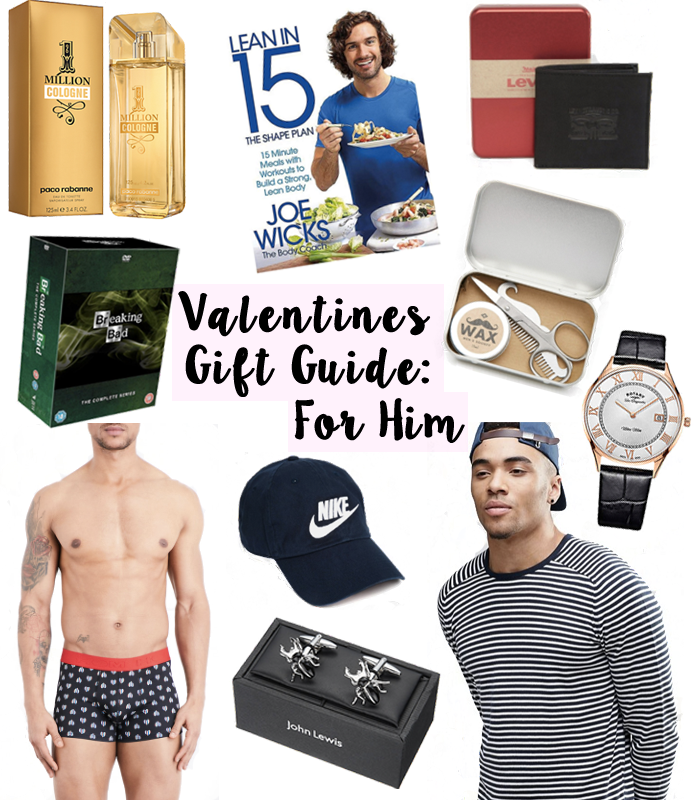 We’re onto the mens gift guide! I’m pretty sure I say this every single time I make any kind of gift guide for men, but are they not just the hardest to buy for?! As always, I’ve gone back to my ‘safe’ gifts for this gift guide. Men are usually pretty happy with anything! I think maybe this year I’ll get Jamie a little something then treat him to a homemade Steak! Aftershave is always a good gift, and my safest bet is always 1 Million – it was the first scent I bought for Jamie and is still one of my favourites! Another staple is boxers – men always need pants right?! If your man is suited and booted, some cufflinks or a fancy watch might be a nice idea. Jamie is really into his fitness and bulking, so some nice accessories like a hat might be nice, or Joe Wicks Lean in 15 Recipe Book is certainly a winner – my brother got it for Christmas and I’ve tried a few of the recipes myself! See all of my picks below..